Many feel that a high protein diet is the best diet to put on muscle and lose fat. 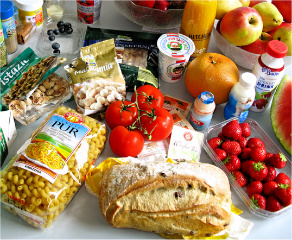 The Atkins diet and similar diets have advocated this, with some success in individuals who have undergone the diet plan. For a number of years now, there has been some concern about eating a diet that is rich in protein. In particular, patients who have followed a high protein diet have noticed that they become constipated. Of course, as is the case with any statement made, there is an opposite school of thought that believes this to be untrue. 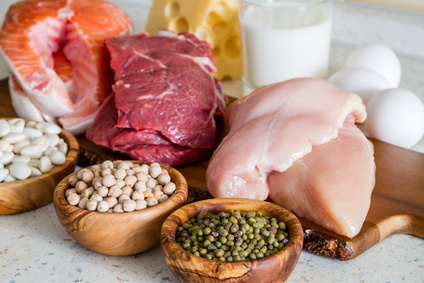 Lets take a look at some of the physiological reasons why a high protein diet may cause constipation, and how one can prevent it from occurring. It is a widely accepted fact that a high fiber diet is essential for proper stool formation and regularity. When a person consumes a high protein diet they consume very little fiber. A direct result is constipation. While looking at a high protein diet and constipation, individuals who consume an excessive amount of protein tend to lose a lot of water through their kidneys, due to the stress these proteins place on the kidneys. Medically speaking, the high protein in the diet can increase the permeability of the capillaries within the kidneys, which produces the higher flow rate through the kidneys. Dehydration is a well recognized cause of constipation Excreting an excessive amount of water is a primary cause of dehydration, and dehydration results in constipation, as the colon extracts extra water to meet urgent needs elsewhere. As mentioned above, there are some who claim that a high protein diet is unrelated to the development of constipation. Although this may prove true in some individuals, it is probably because they take in a sufficient amount of water along with additional nutrients and fiber. Without these adjustments, studies looking at the impact of high protein diets on the body have clearly demonstrated constipation as one of the side effects. Therefore, the teaching that a high protein diet doesn’t cause constipation should be laid to rest. If you were to conduct an internet search on ‘high protein diet and constipation’, you will come across a number of different articles on various health websites that clearly state a strong relationship between a high protein diet and constipation. It is an accepted fact in the medical community, and is backed by scientific evidence gathered from carefully designed studies and patient questionnaires. In a clinical study conducted by Westman et al, among those patients placed on a 6 month course of a low carbohydrate, high protein diet, constipation was the most commonly reported side effect seen in nearly 70% of the study group, followed closely by bad breath (Westman, 2002, Yancy, 2004). Groups such as the American Dietetic Association and the American Heart Association have also cautioned the public about these types of diets, citing not just constipation as a side effect but also additional negative effects on the kidney and the body. Many patients who have decided to adopt a high protein diet are advised by their doctor to increase their fiber and fluid intake as well. The treatment of constipation can sometimes remain difficult despite adequate intake of fiber, fresh fruits and vegetables. The use of magnesium has been advocated by some as an effective treatment for constipation. Prior to bowel surgery, patients are administered a laxative that is rich in magnesium to help clear out the bowels completely. Taking a daily magnesium supplement will not only help supply needed magnesium, but may also become a long-term answer to chronic constipation. High protein diets can cause constipation. While a high fiber diet and increased water intake is advised, it may not be enough for many. Using a magnesium supplement can be an excellent way to prevent constipation in such situations. 1. Host A, Halken S, Jacobsen HP, Christensen AE, Herskind AM, Plesner K. Clinical course of cow's milk protein allergy/intolerance and atopic diseases in childhood. Pediatr Allergy Immunol. 2002;13 Suppl 15:23-8. 2. Westman, Eric C., et al. "Effect of 6-month adherence to a very low carbohydrate diet program." The American journal of medicine 113.1 (2002): 30-36. 3. Yancy, William S., et al. "A low-carbohydrate, ketogenic diet versus a low-fat diet to treat obesity and hyperlipidemiaA randomized, controlled trial." Annals of internal medicine 140.10 (2004): 769-777.